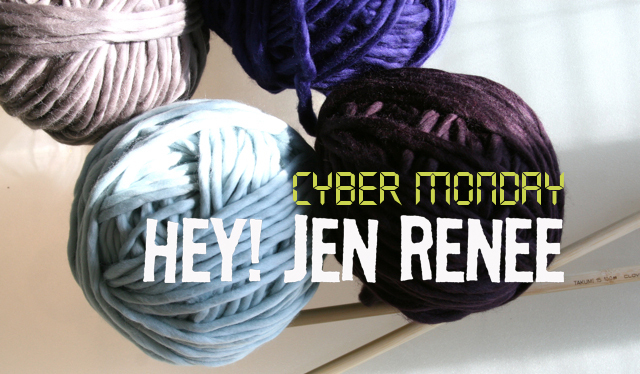 hey jen renee: a giveaway!!! The cool thing is that once you join Journal Your Christmas, you're in for life. You sign up and pay once, and get to enjoy the experience year after year. It's more than just making a page a day. You're documenting the season, the memories, the music, the food, the feeling, the nostalgia, the preparations ... along with thousands of people from all around the world. You can make it into a scrapbook, or you can use it as a writing project with just a journal and pen. Either way, you're going to end up with something that brings back the magic for you (in your quest to 'take back Christmas,' as Shimelle says) and keep your memories fresh for you and others to look back on years from now. Want to join in the fun? I'm giving away one free pass to Journal Your Christmas and all you have to do is leave a comment here telling me what you're looking forward to most about this holiday season. I'll pick one winner tomorrow morning, November 30.
i am most looking forward to christmas music. i wait until dec 1 every year. that's in 2 days! I CAN'T WAIT!!!! i also always look forward to making pound cake with all my aunts & cousins, as well as my mom. it's a tradition my grandmother started soo soo many years ago, and now that she's passed on, we carry it out in her memory.. I am looking forward to my final month of pregnancy so I can finally meet my boy! I'm looking forward to christmas morning with my little family. Last year our son was only a few months old so this year he will be a more interactive and interested in what's going on! I'm looking forward to a little break from school, finishing my Christmas shopping and going home to spend some time with my fam. Family time and yummy desserts! The first thing I look forward to is putting up a big, beautifully lit Christmas tree! i'm looking forward to doing my first december daily! I'm looking forward to my girls having off of school. I just enjoy when we are all home! This holiday I am looking forward to not being behind! To getting it all done, and hopefully online and hopefully without 2 day shipping!!! giggle...Thanks for the opportunity, the class looks wonderful and inspiring. I'm looking forward to using my new camera to finally take some fantastic holiday pics. how sweet of you to giveaway this class! I have enjoyed looking at your previous journals, and frequently thought...shoulda/woulda/coulda! I'm looking forward to speding time with family--hopefully relaxed, easy going time! I'm looking forward to getting together with my family. It will be the first time in quite a while that we'll all be together at the same time. Found your blog via Flickr JYC group. Loved your album from last year and was hoping to find a blog - how much better to find a blog & JYC giveaway! I would love to give it a shot this year. The thing I'm looking to the most is seeing my son's face on Christmas morning. He's 16mo so this will be his 2nd Christmas and he's already fascinated by the little things such as his advent calendar. I can only imagine the excitement when he sees all the presents. :) Thanks for a chance to win! I've always been interested in this class (have seen it around the Internet), but I haven't taken the leap yet, so this would be a perfect Christmas present to myself! I'm most looking forward to seeing how my son Victor will react, since it will be his first Christmas (he is 10 months old). Should be fun! My most favorite things about Christmas is having my children and hubby(he has been taking vacation the same time as them for years) home and just having the lazy days. Wow, I just discovered this today. What a cool idea, I'd love to win a subscription! Thanks for offering the chance! I'm looking forward to decorating our house, and thinking about the traditions we'll start next year with our son. I'm looking forward to decorating the Christmas tree with my daughter. She's two and I know she'll love doing this year! I love your knitting info and alos a chance to win a spot in the cool looking class. Thanks so much! I just found your blog today-- love it! This looks like such a fantastic way to document the season :) I'm most looking forward to all of the festive decorating-- this is the first year I'm living in my own 'grown up' apartment ;) and I can't wait to put up a Christmas tree, bake cookies, and make my house feel like a home! i am looking forward to spending a whole week with my family away from the hustle and bustle!! 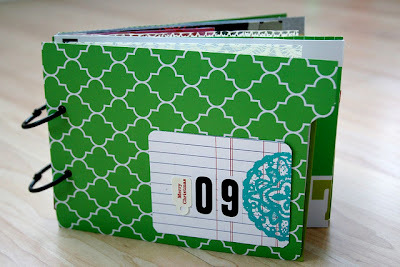 I really need to get better at scrapbooking my kids' craziness and I think this is just the push I need to get going! Sort of like an early New Year's resolution! I am looking forward to my daughters face Christmas morning, she is 4 this year and really gets what all is going on. I'm soooooo excited to celebrate Peanutty's first Christmas! The holidays as a parent- this is a whole new ball game! I am most looking forward to having some concrete plans this holiday season. My parents both work in Mexico during the winter season (I know, so hard huh) and not having them around to celebrate with the whole family is a little hard. My 4 yo son is totally into the magic this year and having a little "itinerary" of our plans will hopefully make it a little easier on him. sooo...about that coffee shop I'm opening. Yea, I think I am most excited for that! Oooh, this would be awesome. I'm excited about a sleepover at MIL's house with my same-named sister-in-law! very cool! i can see why this is one of your favorite traditions! i believe i am looking forward most to hanging out, with the house all decorated and everything in its place, watching chistmasy things on tv with my son! i'm recording a whole day's worth on the dvr so we can just have a big christmas slothfest on christmas eve! ooops- I forgot to say what I'm looking forward to! I'm looking forward to...the whole season! I'm a 'December Baby' (almost Christmas) so all of it fills my senses. I've read so many great things about this class/project. I'd love a chance to win a spot in the class. Thanks for having the giveaway! I am looking forward to some family time after a very busy period. Thx for the opportunity to enter! I'm trying to get in at the last moment before you pick a winner. Oh, I hope, I hope... Thank-you for the chance to win! Merry Christmas!